Thousands of people are arrested on some type of drug possession charges each and every year and need a drug possession attorney austin. A lot of times, they involve small amounts of a controlled substance either in a car or on their person. Thankfully, it is possible to fight these types of charges in favor of a more positive outcome regarding the case. It’s certainly not impossible to defend from a controlled substance possession charge; however, at the same time, it can be difficult. Many times, it’s possible to work the prosecution down into either dropping the charges or being offered significantly reduced charges. Often, doing treatment and counseling upfront, or, prior to resolving your case, may result in better outcomes. In terms of fighting drug possession charges, the officer that initially stopped most have been justified in doing so. This means that even if the stop itself was legal, the search itself may not have been, especially if the officer did not have probable cause to search you or your vehicle, or even obtain a search warrant. All drivers have the right to refuse a search of their vehicle or person. 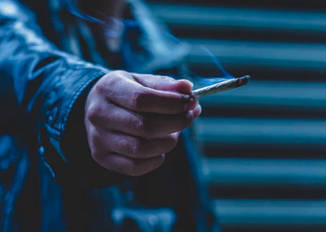 Often officers will attempt to circumvent your consent by saying they saw illegal drugs in plain view, observed you to be intoxicated, smelled marijuana, or that they believed you were engaged in some kind of criminal act. If the officer still chooses to conduct a search without either probable cause or a warrant, then any evidence they find is inadmissible. Challenging lab results that appear to verify the evidence obtained is actually a controlled substance is another strong defense. This challenge forces the prosecution to verify that the substance is what they claim it to be, often creating added expenses and time that they may otherwise not have. The best and most effective way to help fight a drug possession charge is to hire the services of an attorney who is experienced in these types of cases. They can either have your case completely dismissed or, at the very least, have you offered reduced charges. Thank you for visiting the Jarvis, Garcia & Erskine blog, a drug possession attorney austin. If you are in Austin and have a drug possession charge we can help.